If you are on your way to Manatawny Still Works (MSW) in Pottstown and have difficulty finding the location on Circle of Progress Drive, here is some quick advice: Turn off your GPS and open the car window. Because when the stills are working their chemical magic on the combinations of grain and water, the doughy scent hangs around the former office space like a rich perfume. It&apos;s as if your great-grandma is spending an early fall morning baking batch after batch of hearty bread. Max Pfeffer, however, is no great-grandma making sourdough. He&apos;s a chemical engineering grad from Penn State who is MSW&apos;s director of operations. "There is a definite science to this process," he says, overseeing the process from start to finish. "But there&apos;s an art to it, too." 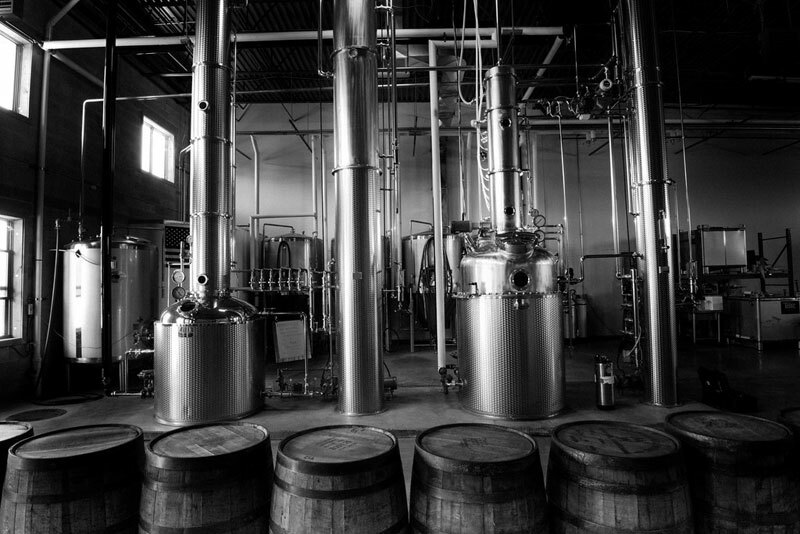 The genesis of what will become that day&apos;s batch of whiskey began across the street at Sly Fox Brewing Company, which whom MSW maintains a symbiotic relationship. Sly Fox supplies the equipment for a base water and grain mixture called wash, which is then pumped through two stills that Pfeffer monitors continually. He peers through gauges, watches alcohol burble through glass flasks and squints through a small glass window that looks like a submarine porthole. The two stills, their copper and silvery columns stretching to the ceiling, take up a large portion of the MSW site, which also includes a tasting room and voluminous storage space. The pot still and kettle still both work something like giant coffee percolators: They heat the mash, allow it to cool and filter the result as it condenses. How long the cycle continues produces different kinds of spirits. "I&apos;m determining character," Pfeffer says. "Character is the difference in flavor between, bourbon, for example, which has a very rich character, and vodka, which has little to no flavor on its own." The aging process, in which spirits are put in barrels and left to deepen in flavor, also contributes to character. Different flavorings are subtly added to the spirits by way of the char on the inside of the casks in which they sit. "Depending on what wood we use and the particulars of the char - the burnt surface on the inside of a cask - it&apos;s possible to arrive at flavors like hickory or vanilla," Pfeffer describes. The barrels also act as additional filters. "We rely on temperature changes, which is why the fall becomes a good time to distill," Pfeffer explains. "The wider the swing in temperature, the better the filtration. When it&apos;s warm, the wood expands, drawing the liquid into the wood of the barrel. When things cool off at night, the wood contracts, pushing the liquid back in. That back-and-forth purifies the spirits." There are, however, times when this process reduces volume. "We call it the ‘Angel Share,&apos;" he says, smiling. "Sometimes the expansion and contraction is extreme enough to pull the spirits to the outer surface of the barrel, where it evaporates to the air." That five percent loss, distilling legend has it, goes to the angels. MSW has been in operation for one year in Pottstown. The tasting room offers a variety of combinations of its products, and food is either supplied by Sly Fox or, on Friday evenings, brought in by an eclectic array of food trucks offering gourmet dishes. For example, a recent edition gave patrons a choice of a veal hot dog, chipotle sloppy joe and beef tongue cheesesteak. Dessert was griddle banana bread pudding. MSW claims a distillery that is modern, but practices based on old world production with a reverent nod to the history of the region. The name itself is from the local Lenape Indian word "Man&apos;en&apos;tau&apos;wata&apos;wik," meaning "the place we meet to drink." 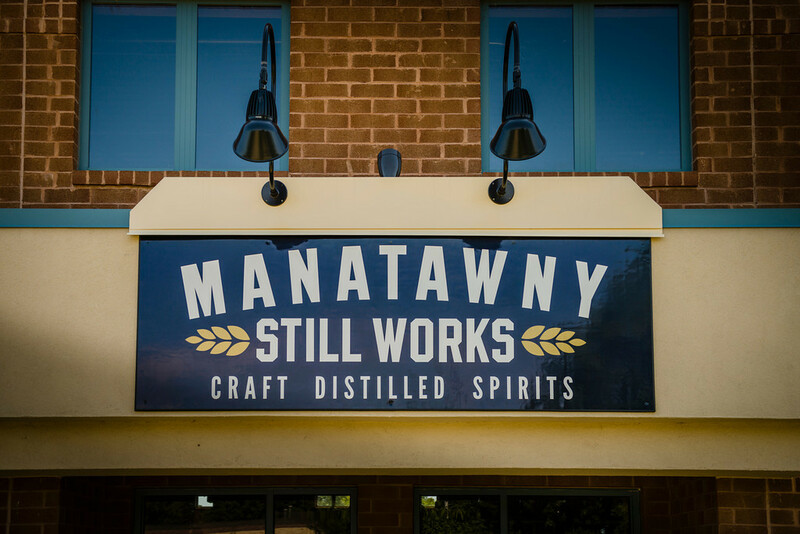 The distillery was honored by its recent win of Main Line Today&apos;s Best of the Main Line & Western Suburbs for "Best Worth-the-Wait Newcomer of 2014." It was also a stopping point in August for a visit by Pennsylvania Governor Tom Corbett, in town to toast tourism in the area. The Rumpkin Spiced Latte, which combines T. Rutter Rum, coffee, coffee milk, pumpkin puree, pumpkin spice and simple syrup. 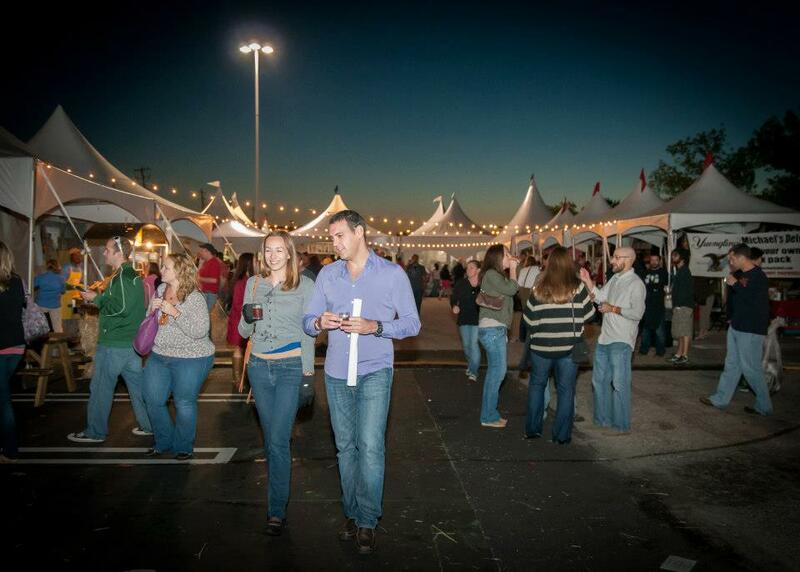 The KOP Beerfest Royale takes place in the parking lot of King of Prussia Mall, meaning that excellent accommodations are very nearby. To get the most out of your beerfest ticket price, add on a hotel room for a full weekend getaway. Saturday: 1 p.m., 3 p.m., 5 p.m.
Sunday: 1 p.m., 3 p.m. The cost is $15, begins with your choice of signature cocktail and ends with a tasting.